Air passengers globally are clamouring for more technology to be deployed for better comfort, ease of access, and personal control over their travel experience. The passenger, in the 2017 Global Passenger Survey (GPS) released Wednesday, craved for automation of more airport processes, a single identity token for all travel processes using biometric identification and real-time information sent directly to personal devices. 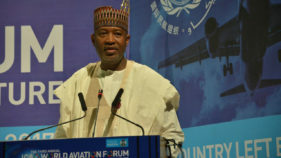 Others are more efficient security – without having to remove or unpack personal items and more seamless border control.The customers’ demand, according to the International Air Transport Association (IATA), is a lesson for aviation authorities and developing countries, including Nigeria, aiming to attract more passenger traffic and growth within the vision 2050 projection. IATA, which is the clearing house for over 275 airlines in the world, said based on 10,675 responses from more than 152 countries in all regions around the globe, the survey provided insight into what passengers want from their air travel experience. Digital travel processes are the expectation and passengers want more. The GPS found that 82 per cent of travelers would like to be able to use a digital passport on their smart phones for as many travel activities as possible, from booking flights to passing through the airport. Biometric identification systems were the technology of choice with 64 per cent favoring biometric identifiers as their preferred travel token. IATA’s Senior Vice President for Airport, Passenger, Cargo and Security, Nick Careen, said passengers want to use one single biometric identity token for all their travel transactions from booking flights to passing security and border control and picking up their bags. Carreen added: “IATA’s One ID project is rapidly moving travel towards a day when a face, iris, or fingerprint will provide the key to a seamless travel experience. The technology exists. 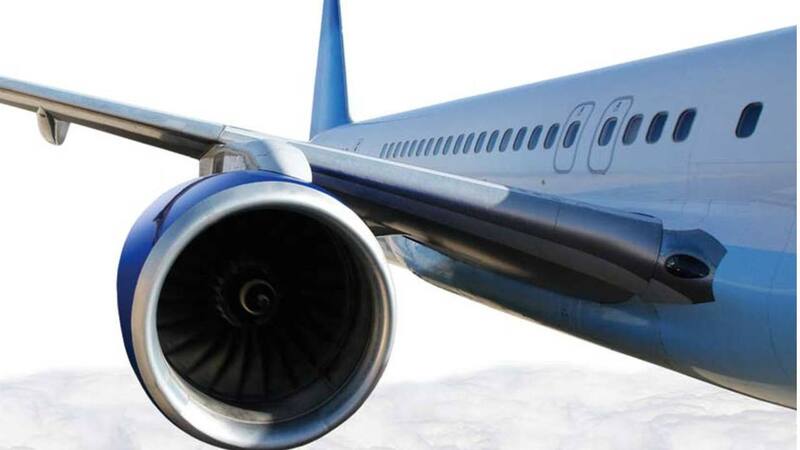 Its use in aviation needs to be accelerated. “Governments need to take the lead by working with industry to establish a trusted framework and agreeing the global standards and security protocols needed to use the technology. One ID will not only make process more efficient for passengers but allow governments to utilise valuable resources more effectively,” she said. Passengers want to be able to do more of the airport processes themselves by taking advantage of the latest digital self-service options. Baggage was the top activity that passengers wanted more control over. The GPS found that 68 per cent of those surveyed want to self-tag their bags with electronic bag-tags being the preferred option. In addition 48 per cent of passengers wanted to self-drop their bag. The survey found that the number of passengers using automated immigration gates and kiosks increased by six per cent in 2017, reaching 58 per cent with a satisfaction rate of 90 per cent. Boarding the aircraft was another area in which passengers wanted to have more control with 72 per cent of passengers preferring to self-board, an increase of two per cent over 2016. IATA’s Director Passenger and Facilitation, Pierre Charbonneau, observed that passengers have never been as empowered as they are today; hence, self-service solutions range from mobile check-in and bag drop, to self-boarding and automated border control. “Smartphone- and tablet-toting, passengers want to use these mobile devices to control their travel experience. They expect easy access to the information they want, exactly when they need it in the travel process. Airlines and airports that make the most use of technological innovations will be giving a better travel experience to their customers,” Charbonneau said. Passengers want airlines and airports to keep them informed throughout their journey. 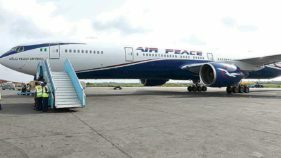 The survey found that 85 per cent of passengers want to be able to check the status of their flight and 50 per cent want to track their bag throughout the trip. Passengers also wanted more information to help then plan their passage through the airport with 51 per cent wanting to know wait times at security and border control and 58 per cent wanting to know wait times at arrival customs, a 17 per cent increase on 2016. Providing more real-time information was also identified by 63 per cent of passengers as the key to improving their experience during travel disruptions. SMS messaging remains the preferred option for receiving travel notifications. However this trend is reversing with 28 per cent of passenger preferring communication through smartphone apps and 26 per cent through email. Charbonneau added: “Passengers expect to get up-to-date information on all aspects of their journey with minimum effort, through their preferred channel. Offering this level of personalisation is reliant on capturing, managing and understanding passenger data. But no single member of the travel ecosystem has the capability to optimise the end-to-end journey on their own. Passengers once again identified airport security and border control processes as two of their biggest pain points when travelling. The top frustrations were the intrusiveness of having to remove personal items (60 per cent), the inconvenience of having to unpack electronic devices in carry-on bags (52 per cent) and the variation in security screening procedures at different airports (47 per cent). The GPS found that 42 per cent of passengers would prefer to use their own devices- Bring Your Own Device (BYOD) – to access inflight entertainment options. Greater connectivity promises to be a win for both the carriers and the passengers they carry. 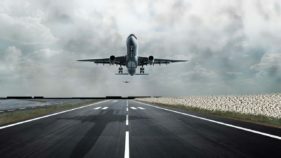 “The importance of smartphone technology, the demand for more automation and personalisation throughout the travel process and desire to stay connected is not new to aviation; however the GPS highlights the extent of the opportunities on offer and the need for airlines and airports and to invest significantly in this area. “To satisfy travelers, airports and airlines will need to work together to provide passengers with easy-to-use mobile services, self-service options and one-stop security checks to make sure they meet this demand. But industry can’t achieve this alone. Government support is essential to change antiquated regulations before the industry can fully transform,” Careen said.